WINDSOR Berks | NEXT PARTY: SATURDAY 4TH MAY 2019 - Stay over and enjoy the party more! Don’t miss our parties at this fabulous Hotel which is situated right opposite the world-famous Windsor Castle. All our parties here so far have been excellent! And we nowhave a special “stay over” package so you can enjoy the party even more. For full details and for useful car parking information, please click HERE. Why not take advantage of our OPTIONAL “STAY OVER” PACKAGE and make a weekend of it when you come to one of our Saturday parties. There’s so much to see in and around Windsor! 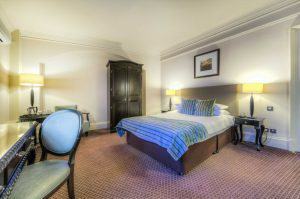 For each of our Saturday parties, we only have TWELVE rooms available which will be allocated on a “first booked” basis. Some rooms are directly above the ballroom and a few are in Goswell House which is just a few minutes’ outside walk to the main Hotel. *Admission £12 ~ Pre-booking advised, please see our main website here to book. Smartly Dressed, Smart Denim allowed. NO T-Shirts, Ripped Jeans or Trainers. Right of admission reserved. Smart denim allowed. No trainers, T shirts, etc.